It’s like a choose your own beauty adventure! Can you remember the last time you loved every single item in a holiday makeup set? I can’t. There’s always that one wonky eyeshadow I’ll never wear or a gloss I’m just not into. There’s always that one thing, right? You hop onto their website, and pick three items from their permanent line. The kit istself is limited edition, but the products are perm. You pick your first item, then your second, then your third, and if you want to get two eyeshadow quads and a powder foundation, that’s cool. Or, if you wanna get three brushes or three lip and cheek duos, that’s cool, too. The price adjusts accordingly. 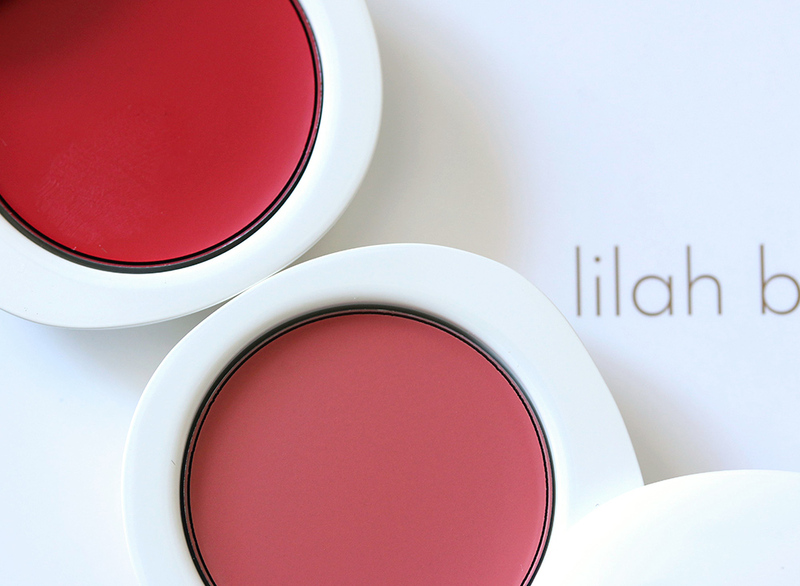 Speaking of that, lilah b. is a luxury line. That’s how they brand themselves, and everything is on the more expensive side. 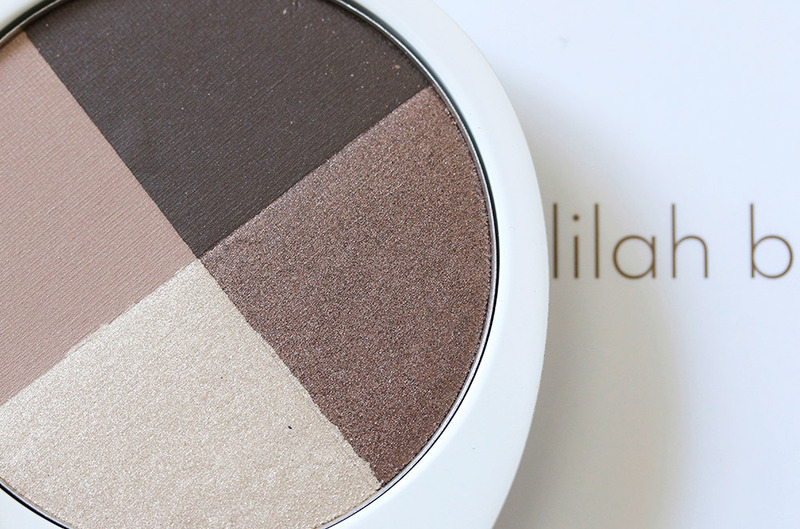 The eyeshadow quads, for example, are $58 each, while the lip and cheek duos are $46. But with the b. unique Holiday Set, you also get this really cute vegan clutch that makes me wish I had a fancy party to go to, just so I could carry it around with me and worry about people spilling red wine on it. The kit seems very true to lilah b.’s aesthetic to me. Their tagline is “With less, you are more,” which means…you know, they aren’t all about piling on the makeup. 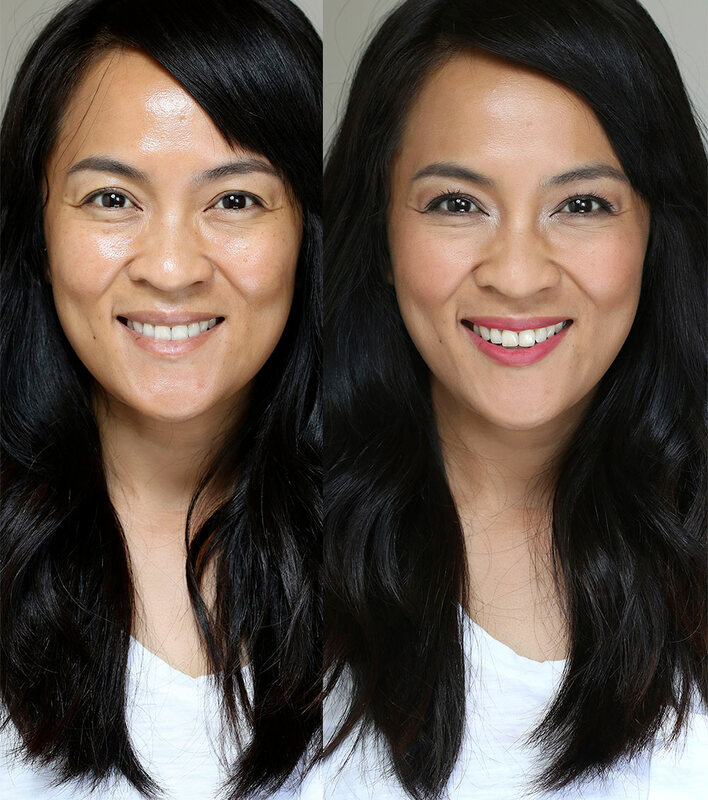 They’re more about enhancing your natural beauty by adding a little color here and there. Then, with your three items and your purse, you’re off to the ball, Cinderella! 🙂 If you’re a Bobbi girl, take a look at the line. 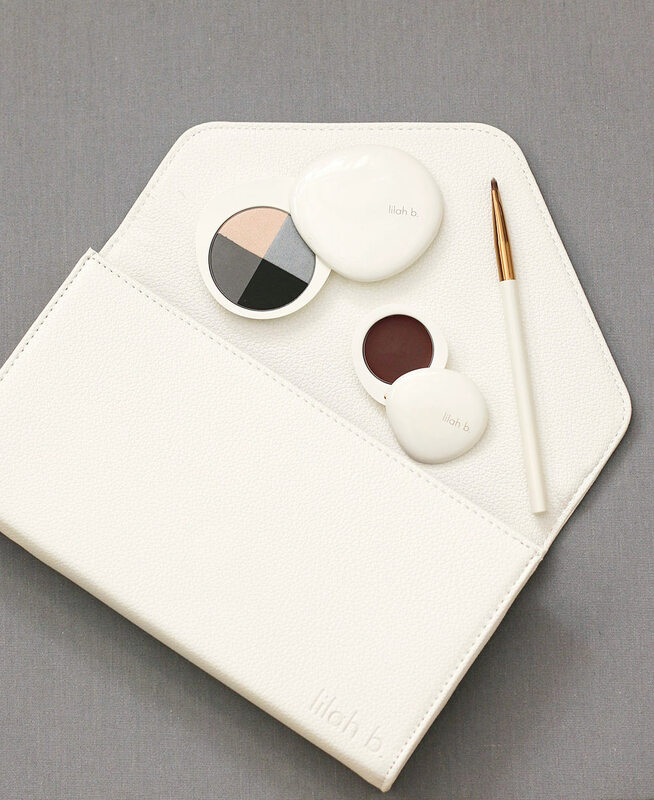 How cute is this clutch? 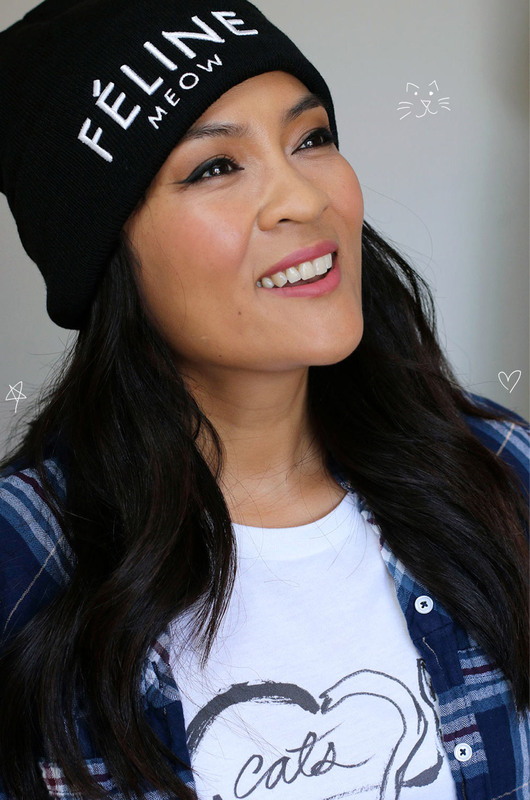 Full-on glam makeup is all over Instagram — brows so sculpted that they could cut glass, contoured everything, elaborate eye looks with false lashes and winged liner. And I love some of that. I love the artistry, and I appreciate the effort that goes into it, but there’s also a part of me that can’t wait for the tide to turn, ya know? 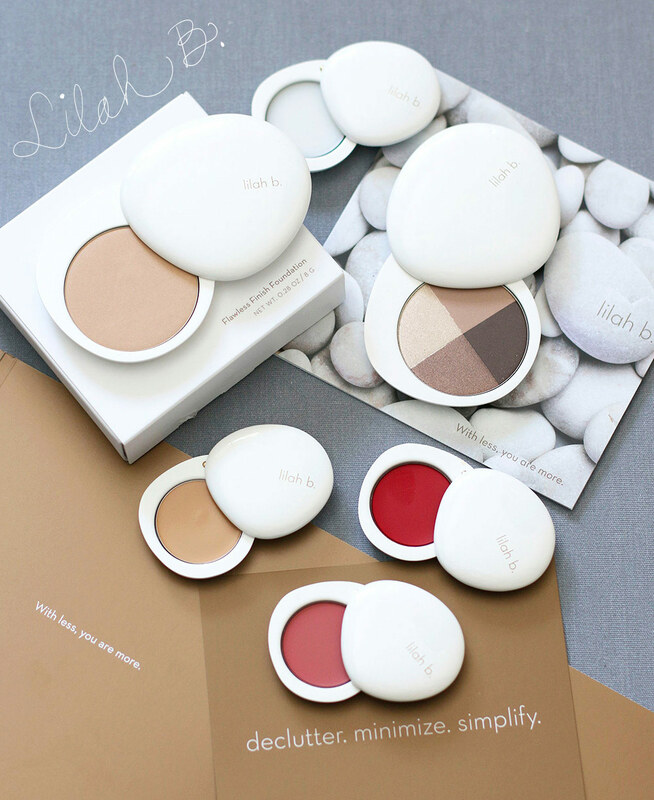 Part of me can’t wait for makeup minimalism to come back in style with a vengeance, and when that day comes, lilah b. cosmetics will be there with bells on. It’s a new luxury line out of Sausalito, California, which is a quaint, picturesque town just north of the Golden Gate Bridge from San Francisco on 101 (not “the 101,” just “101”). 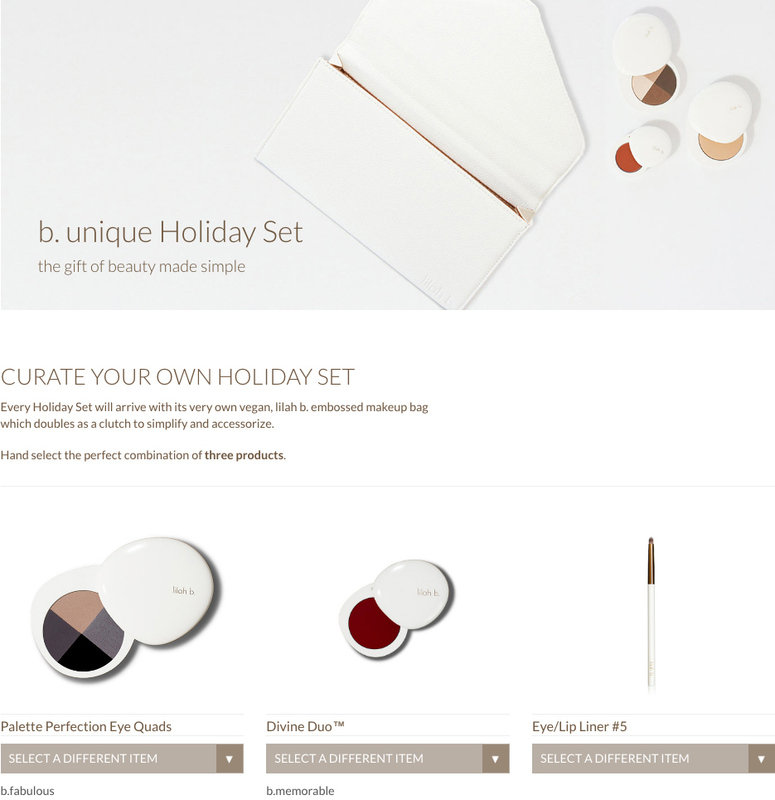 They have a website, and you can also find them at Space NK stores. 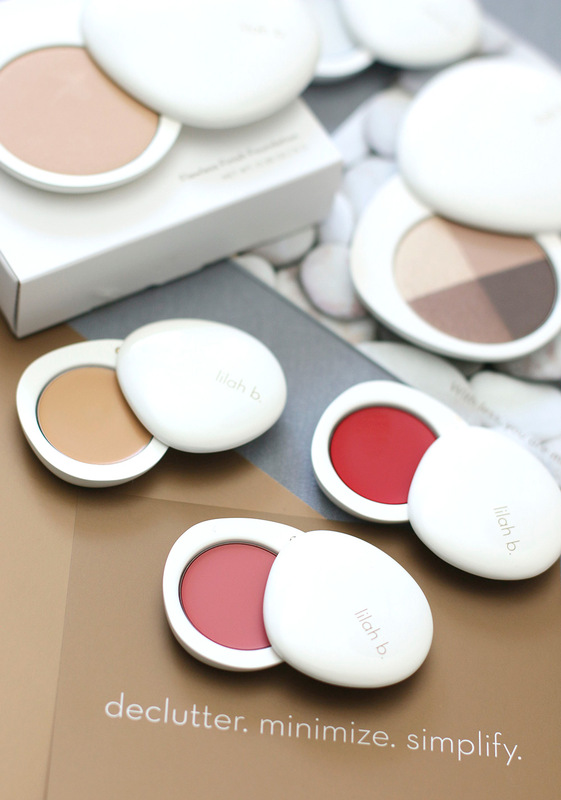 Their philosophy has a nice ring to it: “With less, you are more.” Think streamlined creams that double as blushes and lipsticks, sheer powder foundation, creamy concealers and easy-to-wear eyeshadow combos — that kind of thing. The products are all paraben-, pthalate- and sulfate-free, and they don’t have any synthetic fragrances. Plus, they aren’t tested on animals. The pieces come in glossy white packaging (I think it’s gorgeous) that feels hefty and valuable. It kinda looks like polished river rocks or shells. Before and after lilah b. This only took me 15 minutes! Boy, oh, boy, though — the products are pricey. You probably won’t bat an eyelash if you’re used to Chanel, Hourglass and Guerlain prices, but we’re talking $44 for a concealer, $34 for a lip balm, $48 for a powder foundation, $46 for a lip and cheek cream, and $58 for an eye quad. 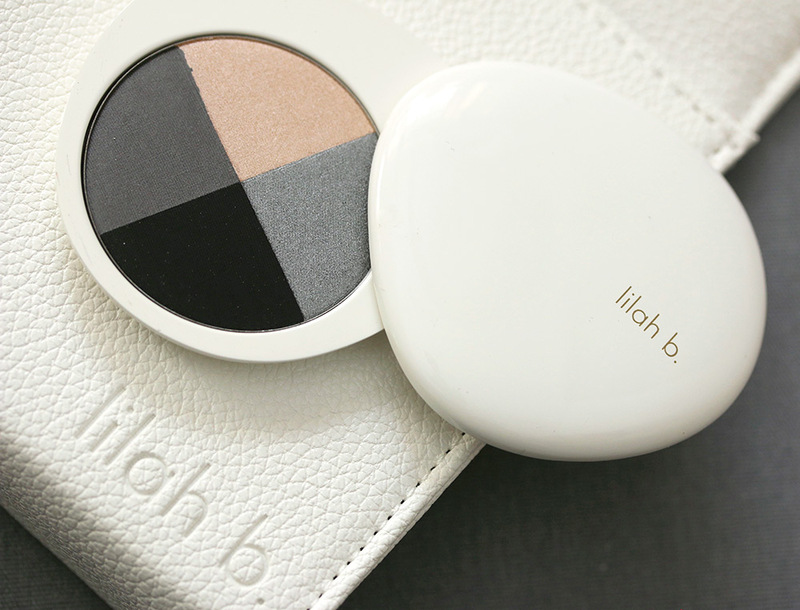 The lilah b. look is like a super chill version of Bobbi Brown — dressed down, sheer coverage with a hint of natural-looking color. When I wear the powder foundation, concealer, eyeshadow and lip and cheek cream, I look like I’m wearing a full face, and like I’m polished and totally together, but it doesn’t look like I’m wearing cake frosting. I wore the eyeshadow and the lip and cheek cream to the beach yesterday, and I felt like it was a perfect amount of color.